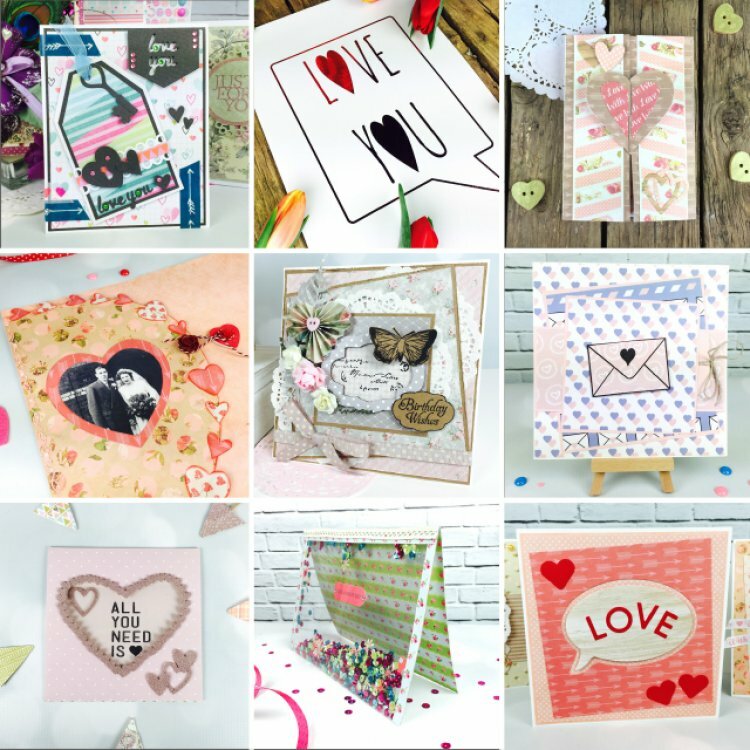 To really get into the Valentine’s day spirit, we had our brilliant Design team compile a collection of quick and easy tutorials that would make any person receiving a handmade card, feel the love! With foiling being such a popular trend, we designed a stunning, free printable that would add the perfect amount of class to your Valentines cards and home décor. Our cute and quaint Card shape of the Month was a fabulous addition to our Valentine makes. With a free template to use, you could make your very own gatefold card, with a heart warming sentiment. For those who like to collect their memories, Design team member Katie offered a sweet tutorial on how to make an easy scrapbook layout, sprinkled with hearts, flowers and enclosed with a secret message inside. We previewed our perfect for the Valentine season Love Story paper craft collection. Embedded with pink tones, floral designs and matching embellishments, no’one could resist! We all had a sneak peak of the enchanting new paper craft collection, Floral Muse. Crafters everywhere were excited to get their hands on the beautifully filled, butterfly and floral designs. Our Die cut happy, All You Need Is Love card, was a simple but effective creation to show a special someone in your life, that you care. Making everyone’s lives a little easier, the Trimcraft team designed a lovely selection of printable Valentine inspired papers. They even used this year’s pretty Pantone palette to ensure that your creations look on trend. To add a splash of colour and excitement to our cards, Maxine showed us how to make an Acetate Shaker card that would sit proud in any crafters home. What tutorial did you love this month? Comment below your favourite project and make sure you upload your wonderful, inspired makes to the project gallery.